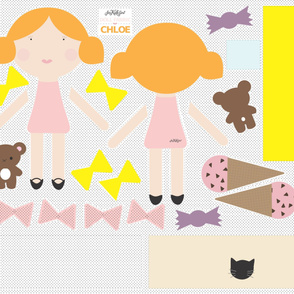 Sew up your very own adorable doll with this doll fabric! Rosie is a seriously cute girl with black hair and red lips! 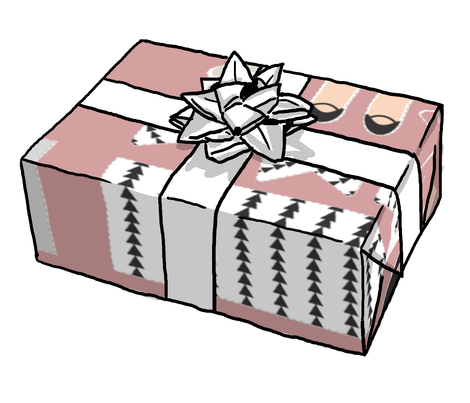 Her shirt is grey with 3 skirt options: b/w arrowhead, grey kitty cat and pink. 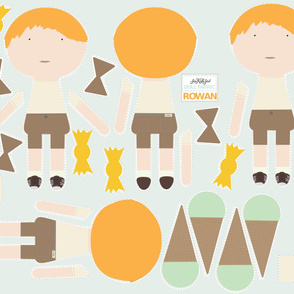 Rosie loves chocolate sprinkle ice cream cones and her tiny teddy bear! 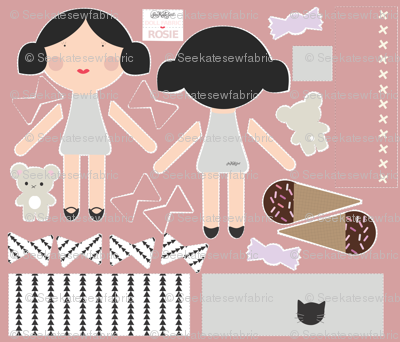 1 Yard Includes pattern pieces for the following: -one 20" doll -3 skirt patterns -1 bear -1 large ice cream cone -4 bows in 2 colors -1 candy -1 skirt pocket 1/4" seam allowance included.